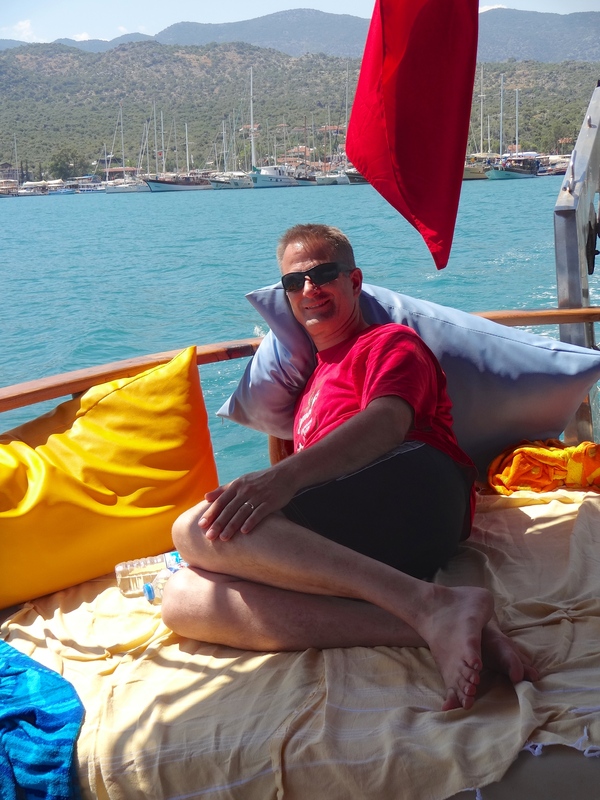 While staying in Kaş we decided to take a boat day trip to see Kekova and the lovely turquoise coast line on the way. We did the rounds on the harbor, checking prices and itineraries. 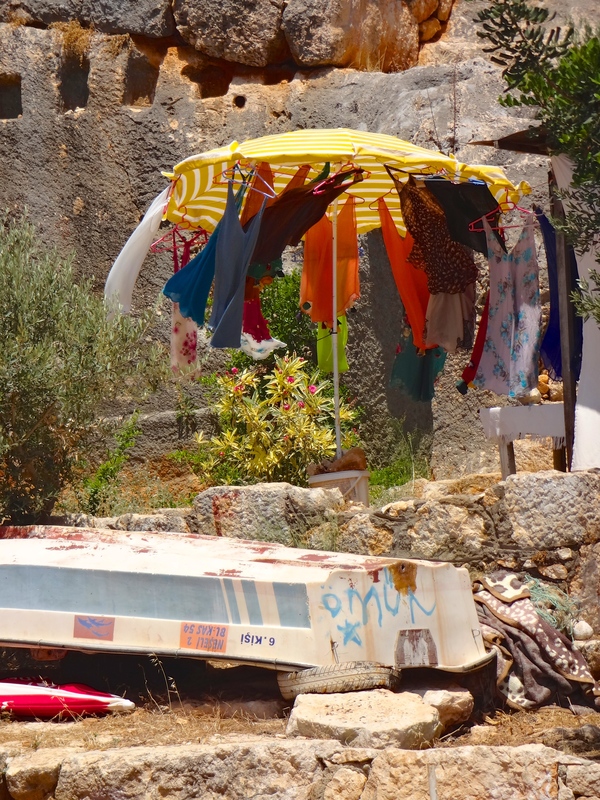 The majority of the boats charged 60 TL ($22) for an eight hour trip including lunch and multiple swim stops. You get to reserve your “spot” on the boat. 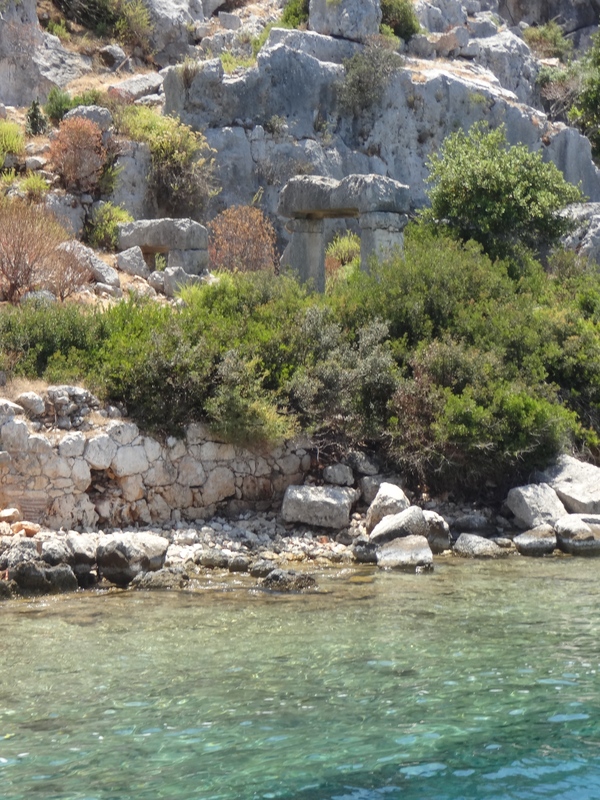 We got to stop in beautiful bays to swim in the crystal clear water. It looks like a swimming pool, but it isn’t! 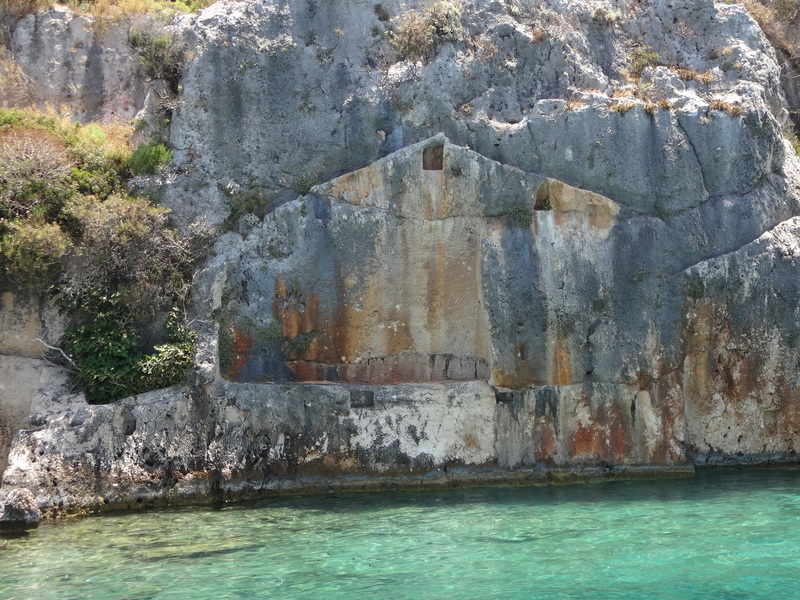 Kekova is a small uninhabited island which is opposite ancient Simena (now Kaleköy) and near Teimioussa (now Üçağiz). 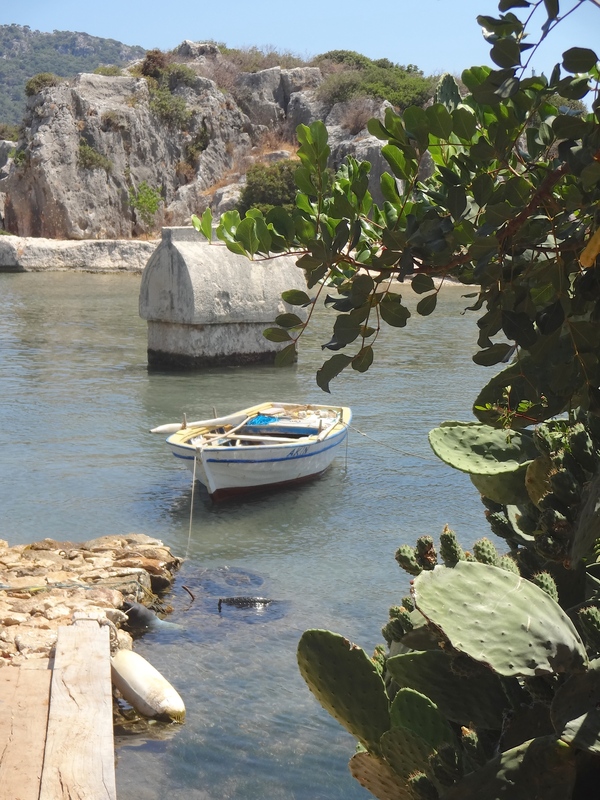 Kekova is now a protected area, so the boats can’t stop there; however, they go by the island so that you can see the partially sunken ruins of the ancient town called Dolchiste. It used to be the residential part of ancient Simena. It was destroyed by terrible earthquakes in the second century, and later rebuilt by the Byzantines. Dolchiste was later abandoned due to invasions by the Arabs. 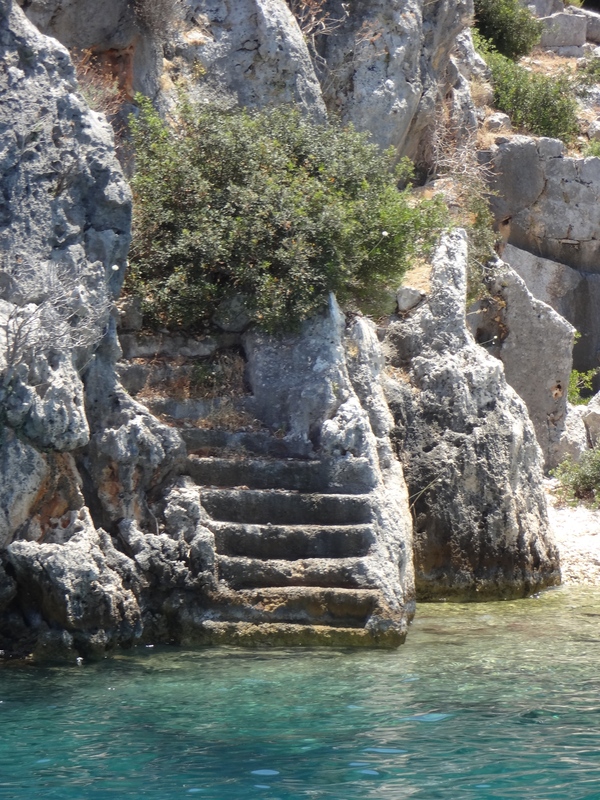 The Kekova region is very popular with the yachts and cruise boats. 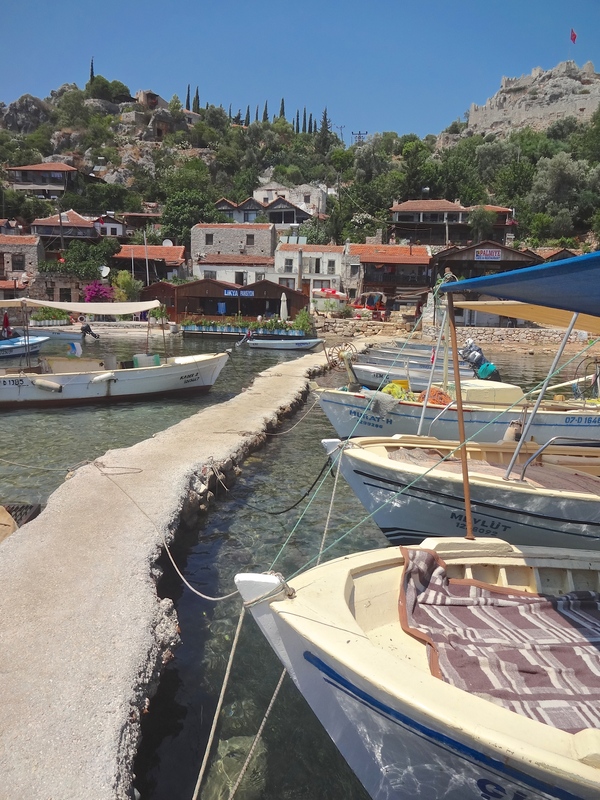 Ancient archaeological sites, sparkling blue water, tranquility, beautiful nature, sunshine….it’s no wonder many stay here for weeks at a time, in one of the nearby bays of the charming fishing villages of Kaleköy or Üçağiz. 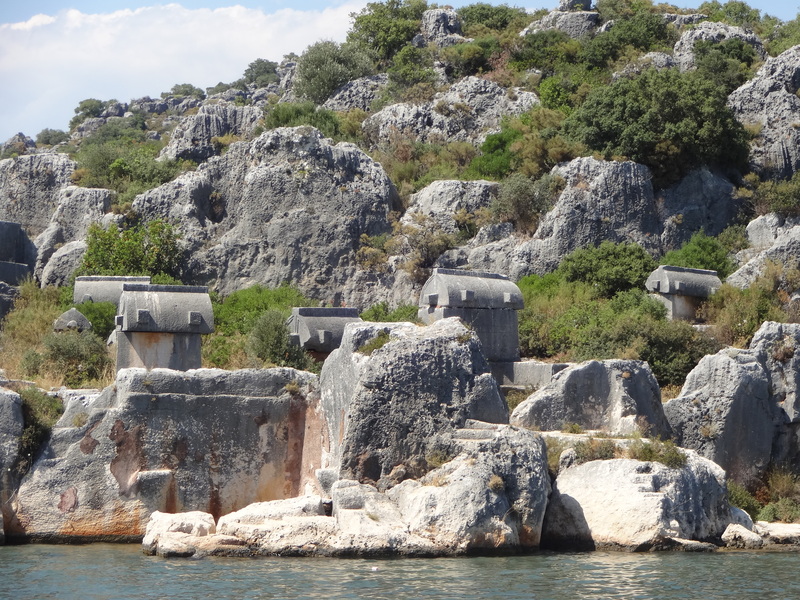 Kaleköy (ancient Simena) is very picturesque. The new cafes, pensions,and shops mingle with the ancient and medieval ruins, and somehow it works! The history of ancient Simena goes back to the 4th century B.C. 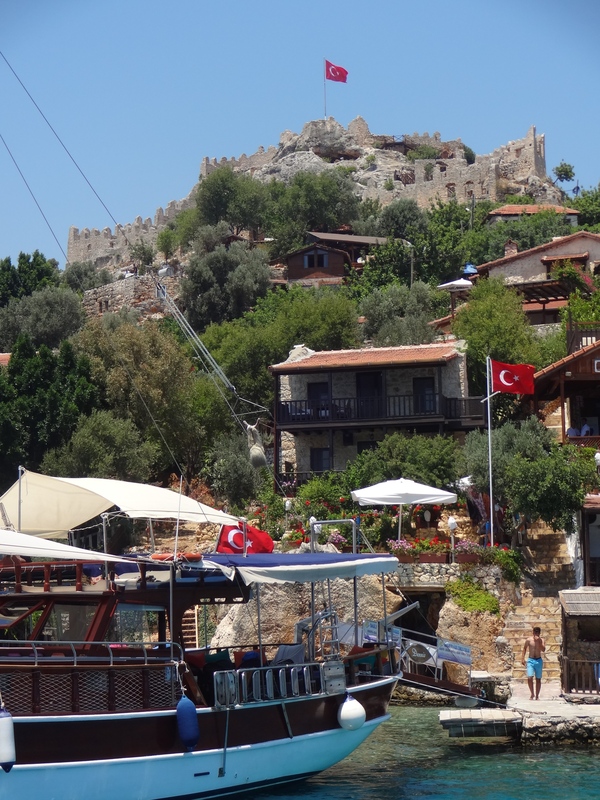 It was once a small fishing village, and later was settled by the Knights of Rhodes, who built the castle. The castle was used by the Byzantines. 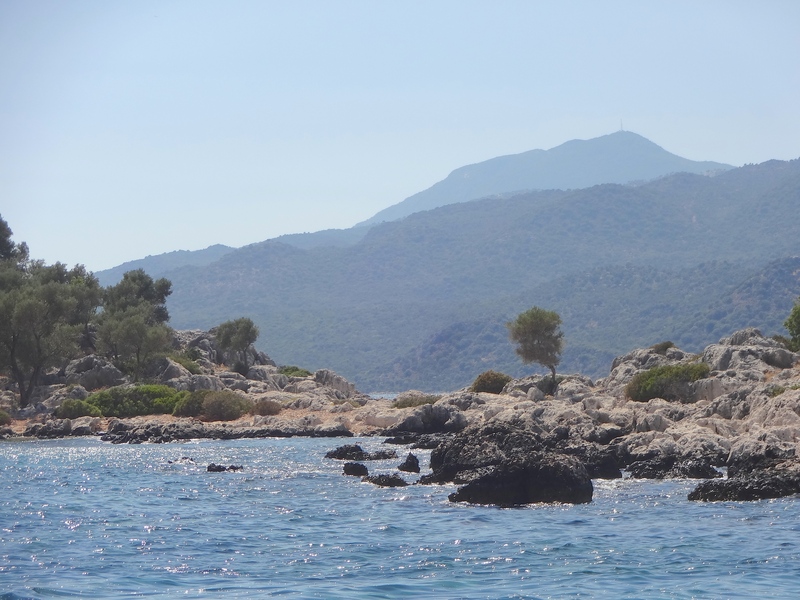 Kaleköy is accessible only by sea. There are lots of little cafes to enjoy a snack and homemade ice cream. 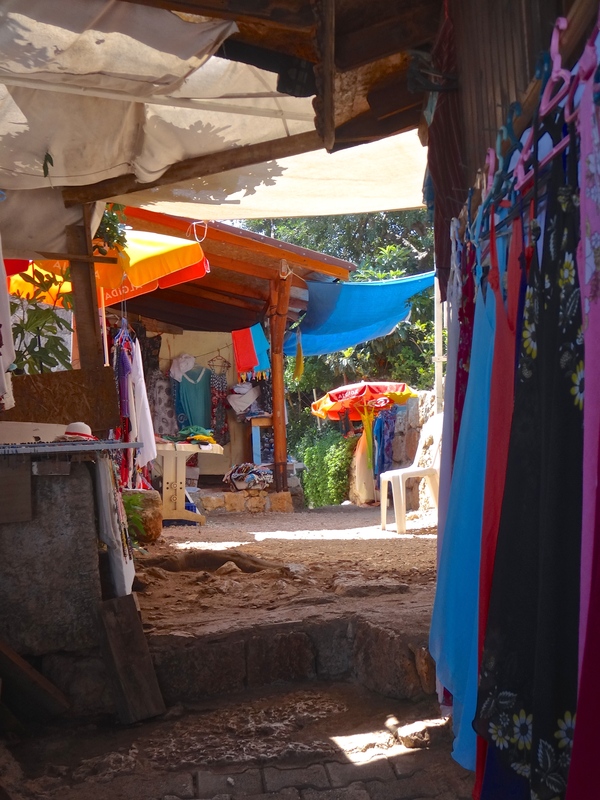 We headed back to Kaš, after stopping to swim again. It was a wonderful day! 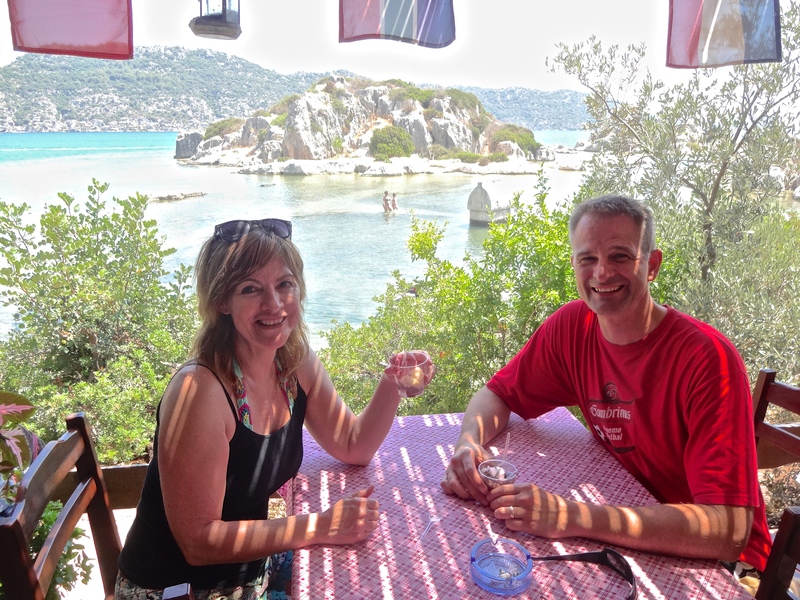 We highly recommend the boat trip to Kekova!